In need of a personal loan, but your credit score is causing you problems? 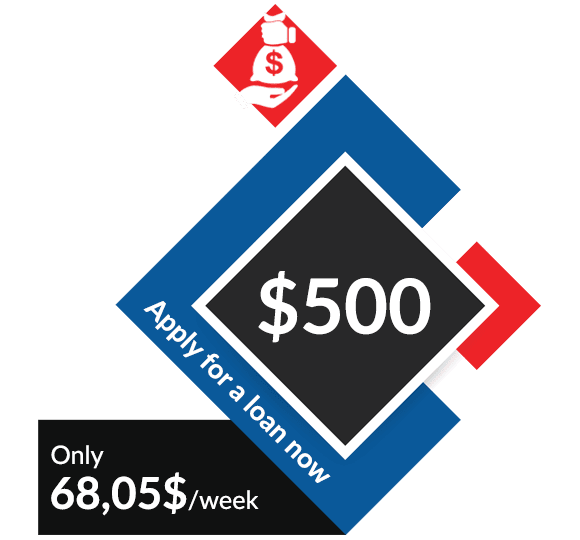 Wherever you are in Canada, DMO Credit, located in the Montreal area, deals with the best private lenders possible in the industry and can offer you a quick loan, whether you have good or bad credit. You will need to reimburse the amount granted in 3, 6 or 12 installments weekly, bi-weekly or monthly, depending on what your pay frequency is, over 3 months. DMO Credit is a brokerage company that offers different credit options through a private lender, whether you are in Montreal, or anywhere else in Canada. All of our no credit check loans are done online or over the phone. No appointment is required! We understand that it’s not always easy to face the unforeseen. Financial problems are more common than you think. Our brokers are here to help you get a personal loan and ameliorate your financial situation, even if you have bad credit. Get approved quickly for a loan of 300$ to 1000$ today! All you need to do is meet our criteria. *Please Note: A person being on the CSST, the salary insurance, the SAAQ or a resident could be admissible on file study. Do you meet our criteria? Gather all the required documents (IF NOT APPLYING VIA IBV) and apply online right now! Do You Meet Our Criteria ? Get A Personal Loan Today !